For same day delivery or shipping, place your order before 5 pm. 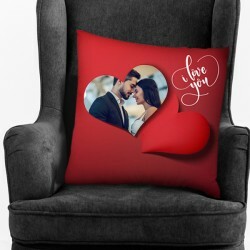 The cushion covers are suitable for home decoration. They are ideal for sofas and it can be used in bedroom, lounges, living room. The Fabric adds the richness to any decor. Living Room Diwan, Office, Outdoor, Decoration & for Gifts. Avoid ironing directly over the printed area.